This is an excellent tool to teach gyroscopic inertia. 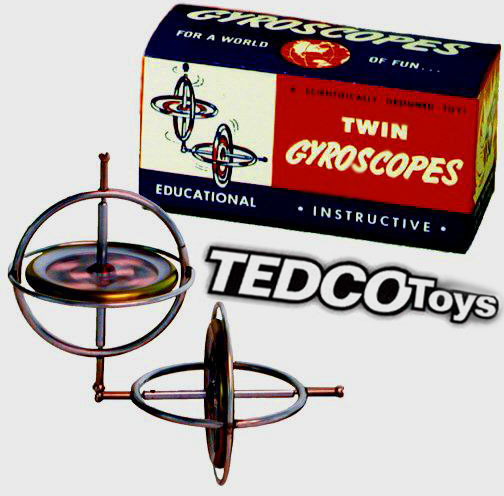 Original TEDCO Gyroscope packed in nostalgic 1950's twin pack. Place one spinning gyroscope on the end of the other for an amazing balancing act. Comes with starting strings, pedestal and instructions. Made in USA. NOTE: Gyroscopes have a natrual "wobble" to them. They are meant to wobble when in use. This is due to the offset metal bars that help the gyroscopes incredible balance.